Hear, hear! 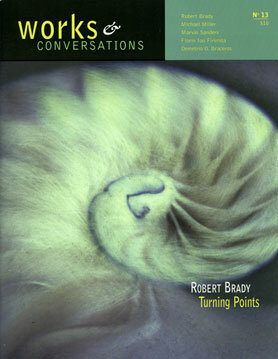 CharityFocus partners with Works & Conversations to create the first pay-it-forward print magazine (without any ads!). Richard Whittaker's labor of love for 15 years shifts to a complete generosity model, CharityFocus takes on conversations.org to create a distributed content generation portal, and readers everywhere get to soak in fascinating dialogues with everyday heroes (that have been the hallmark of Richard's life long work). "Hi, I'm Richard," the soft-spoken, 60-something man says. Richard is the editor of a grassroots magazine, called 'Works and Conversations', that creatively profiles unsuspecting everyday heroes: a flutist who became homeless for the love of music, a sculptor who tends to the public park daily, a young Desert Storm veteran who repents wartime by making ceramic cups as silent gifts for all who take it. Stories that really stir your soul. Separated by an uneven wooden table hosting two Vegetarian Bean Burritos, Richard, Paul, and I get comfortable on the metal chairs of a local Taqueria. "I don't know exactly why I wanted you guys to meet," Paul hedges the meeting without any apologies. Paul and I go back 7 years; when few of us were starting CharityFocus in 1999, it was Paul that "broke the story" to the media; he later went on to become the editor of the Christian Science Monitor and when he retired this year, he came back to volunteer. Paul just digs the whole CharityFocus philosophy of being-the-change and letting that process naturally self-organize the outcomes. And this meeting is no exception to that spirit. Paul enthusiastically intros Richard's soulful work, "Some months ago, someone gave me a copy of 'Works and Conversations' and the moment I picked up a first copy, I knew this was something special – multi-colored artistic cover contrasted with all black-and-white, glossy pages, no ads or commercial propaganda, noteworthy topics, honest writing. After decades in the publishing world, I just sensed an uncommon feel. And then I met Richard." Having previously seen a copy of Richard's latest issue, I know exactly what Paul is talking about. And there is certainly something about Richard's presence that deeply validates the spirit of his work, his inquiry into his own being. Maybe it is the look in the clear eyes of a life-experienced man, maybe it is the way he listens to each sentence of our "conversation", or maybe it is his effortless humility. Moved by his genuine sincerity, my first sentence to him – which caught all of us off-guard – is, "How can I serve you?" That question takes our conversations into unforeseen dimensions of dialogue. About halfway into the conversation, I suggest a radical idea: "Through all the ups and downs, Richard, you've kept on for fifteen straight years. You never yielded to the temptation of selling ads, not even to cover your costs. You kept doing deeply meaningful stories in an honorable way, even if it meant you had a smaller subscriber base and printed fewer issues. By never taking a dime for your own pocket, you stayed volunteer-run and grassroots. It's truly a labor of love: simple, small, and selfless. Such jewels, Richard, are too valuable to be sold." After a slight pause, I add: "They are meant to be gifted." Almost as if someone had reminded him of a secret he always knew, Richard responds with a reflective pause, "Yes. Yes, let's do it. People can donate what they want, if they want. I can refund the money to current subscribers, if they want it back. I will do what I love and trust that the resources will come somehow. I've been living like that my whole life, so why not the magazine too? Yes!" Just like that, a paradigm shift. Three people without an agenda, two people who've known each other for half an hour, and one idea that most would consider crazy. But here it is -- the intangible final straw, to shift Works & Conversation from scarcity to abundance, from fear to trust, from pay-for-it to pay-it-forward. A major risk, in a way. But Richard feels liberated at some subtle level and Paul and I are delighted to partake. Two days later, Richard joyously brings me a stack of magazine archives marked with yellow sticky notes to denote his favorite articles; he thanks the mystery of our serendipitous connection, hands over the reins of his conversations.org website, and generously offers the rights to all content printed in the magazine's history. With the April 2007 issue, the magazine runs Pay-It-Forward style, the website expands its mission to allow people everywhere on the planet to submit their own powerful "conversations" and we embrace an exhilarating ride to an unknown destination. Howard Thurman once said, "Don't ask so much what the world needs. Go out and do what makes you alive, because what the world needs most are people who have come alive." With $25,000 per year, Richard is able to run 'Works and Conversations' and spread the stories of people coming alive. Starting this year, it will be the first print magazine to run solely on generosity and trust. Wow! This is pretty amazing. Very nice looking magazine. This looks really fascinating. I can't wait to see the magazine at meditation tonight. I am no longer the Director of Development at the Pay it Forward Foundation. I am however, working on the Pay it Forward Student Mentoring program, where students mentor other students.